An active wood insect infestation in your yard, garden, house or structure is an important matter of concern and requires to perform treatment diy Termidor for subterranean termites indoors and outdoors. In order to eliminate the underground wood pest colony, you can apply different methods: soil treatment, spot in-wall treatment, concrete-drilling treatment and baiting system treatment. For these purposes, you can use non-detectable fipronil products, which exist in three formulations – aerosol sprays, concentrated liquids (SCs), foams. The choice of the sufficient formulation depends on many factors: the type of termites, the location of the infestation and its intensity, and, of course, your personal preference. Diy Termidor for subterranean termites indoors is a labor-using and time-consuming treatment, though it can save you a lot of money. 1 oz of product produce 1 qt of foam for 5 sec 0.005% - for control and spot treatment of termite nests and galleries in the wood cavities and wall voids Inject into each hole, which is drilled in a staggered manner every 3-4 or 6-8 inches, approx. for 5-10 seconds. 0.5% fipronil 3 bulb/ ball compressions of the application device delivers 0.1 g of dust 0.5% - for control and localized treatment of subterranean and drywood termites For subterranean termite galleries and shelter mud-tubes use 0.1 - 1 g per an injection point. For carton nests apply 0.3 - 3 g per an injection point. For voids use 0.2 - 2 g per an injection point. For drywood termite infestations, it is necessary to apply 0.1 - 1 g per an injection point in wood. In this article we introduce you different methods of subterranean termite extermination and give you the instructions to follow during diy Termidor application. If you still have some doubts about doing spot termite treatment on your own, you can leave your matter of concern in the comments, and our specialists will help you sift the question to the bottom and choose a product, which best fit your needs. We also recommend the homeowners to hire a reputable pest control professional, who specializes in termite extermination in order to carry out the treatment for them. This method is applied to the termite carton nest if it is above ground and mud-tubes directly. If you can detect location of the indoor nesting area, namely in interior wall or structural member, you can treat an active infestation with Termidor SC, Termidor Foam and Termidor Dry on your own. A localized interior treatment is to be made in the immediate vicinity of the termite activity, at least 2 ft in 2 and more directions radiating from the area. Inspect the walls and structures to detect where termites are entering and coming from. You can see mud tubes around the exterior of the structure. Identify their type. Put on protective gloves and clothes, wear goggles and a face mask or respirator, esp. where ventilation is poor. Locate the gallery, nest carton or shelter-tube in wood, on/in walls and voids. If it is possible, remove the drywall in the infested area and drill a hole or holes to get a necessary access to the zone where you have found or just suspect an infestation. In fact, you can also drill directly into the wall or sheetrock. Openings should be 24 inches. When you drill into the drywall, it is required to drill holes about 18 inches up from the floor level and in between each stud around the termite infested area. When you drill directly into wood structures, a bit smaller holes of about 18 inches are required in a staggered manner every 3-4 inches in order to detect a zone, where the drill bit does not meet resistance. 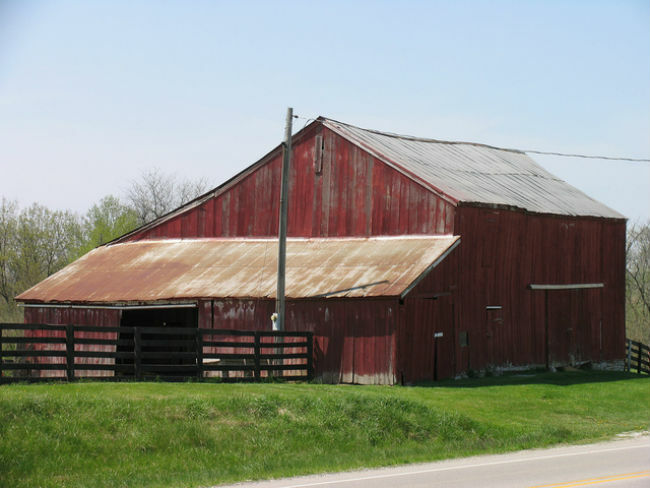 It means that you are likely to find the location of the termite gallery and the Termidor foam or Termidor DRY powder should be applied in this place. diy Termidor application Shake well before using. Hold the injector tip in place for 6-10 seconds to allow the product within the injector tube to dispense into the treated nest, gallery, shelter-tube. For termite galleries and shelter mud-tubes use 0.1 - 1 g per an injection point. For carton and nests apply 0.3 - 3 g per an injection point. For voids use 0.2 - 2 g per an injection point. Note that 3 bulb/ ball compressions of the application device delivers 0.1 g of powder. Mix up 4 gallons of solution according to the product label. The application rate is 4 gallons of dilution per 10 lineal feet per foot of depth of drilled holes. For getting better results, apply with a lateral dispersal nozzle to avoil splashing. Plug all holes after treatment. If you observe mud-tubes on the interior of the crawlspace or around pipes or piers, they must be also treated. Deliver also Termidor termicide formulation to areas around pipes, insulation and obstructions, along cracks and crevices. Treat the interior of the crawlspace with fipronil products as directed in the product label. Reinspect in 4-6 weeks after the application of diy Termidor for subterranean termites. Be patient when performing treatment with diy Termidor for subterranean termites indoors as it is likely to take up to 2-3 months to exterminate the wood pests completely. If you observe live termites and infestations are still active, re-treatment is possible (in a month after the previous application). If the termite activity occurs in the interior walls, the area under the floor and behind the walls adjacentto the infested zone are to be treated with Termidor products. For this application, Termidor SC of 0.06%-0.125% dilution is preferable: 4 gallons per 10 linear feet. This localized interior concrete floor treatment should be made in the immediate vicinity of the termite activity, at least 2 ft in 2 and more directions radiating from the area. Drilling is also required for this type of termite elimination. You can apply Termidor foam into the holes to get better results and to maximize dispersion. Drilled holes should be plugged with or covered by the material that doesn’t contain cellulose fiber (cement, concrete, plaster). When you perform diy termidor for subterranean termites indoors, remember not to allow your pets and children to be present during the application. Do not let them contact contaminated areas until the clean up is completed. Foam formulation is better to apply for in-wall injections than spray solutions. Foams maximize dispersion. It means that they allow the poison to evenly spread and to make its way through cracks and penetrate the voids and cavities in wood. It doesn’t leak down fast as the finished dilution does. Foam remains inside the voids and active termite galleries for long time. It kills the wood pests that are currently present in wood and eliminates the underground colony more effectively if compare with sprays. Termicide solutions are better to apply for soil treatments diy. 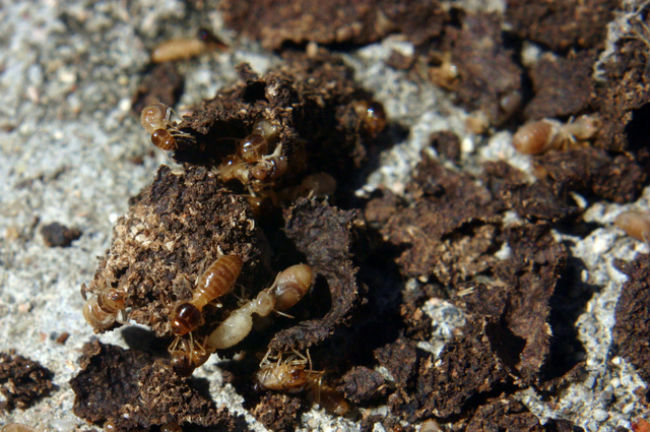 The homeowners, who applied Termidor Foam against localized infestations of the termites subterranean in the walls, door and window frames and other wood constructions, noticed that the insects continued their activity even after being foamed, but in four days they became slow and looked very weak, withered and sleepy. In 6 days the termites’ activity reduced and only few subterraneans were found alive, though, they looked lethargic as if ill. In a week after spot foam treatment, wood pests vanished completely and in 6 weeks there were no termites found in the treated zone.